Executive summary: Is That All There Is? Peggy Lee had a difficult start to her life, losing her mother by the age of four and being forced to endure both an alchoholic father and an abusive stepmother throughout the rest of her pre-adult years. While still in her teens, she began to gain some local recognition as a singer, and after graduating high school she made an unsuccessful attempt to establish herself in Hollywood. 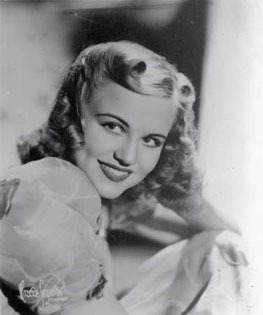 After a period supporting herself as a waitress and a carnival barker she returned to North Dakota and landed a job singing for a radio station in Fargo; it was during this time, at the recommendation of the station's manager, that she changed her name from Norma Egstrom to Peggy Lee. Over the next few years Lee made several more moves around the country, each time advancing her career a little farther. Hotel and radio jobs in Minneapolis were followed by a brief stint singing with a touring band, eventually landing her back in California where she worked at the Doll House in Palm Springs. It was here that she developed her trademark, sultry purr -- having decided to compete with the noisy crowd with subtlety rather than volume. After witnessing one of her performances, hotel owner Frank Bering offered her a job in Chicago, which led to her first real break into the big time: an invitation from Benny Goodman to sing with his orchestra. Shortly afterwards, they were hard at work together in the studio. Lee worked with the Goodman orchestra between 1941 and 1943 -- touring the country, performing on radio, and recording popular tunes like Elmer's Tune, How Deep Is the Ocean?, and the song that first captured her own distinctive approach for a national audience, Why Don't You Do Right?. Towards the end of her involvement with the band she married guitarist Dave Barbour, and the two moved to the West Coast and began work on her solo career. Her subsequent releases on the Capitol label (and occasionally with Decca) achieved considerable success, one of the most notable being the laid-back swing of Fever from 1958. Lee established herself in the film industry as well, earning an Oscar nomination for her role in Pete Kelly's Blues (1955) and making memorable voice-acting contributions to the animated feature Lady and the Tramp. By the end of the 50s her heavy workload was having a severe impact on her health; regardless, she remained involved in a wide variety of projects throughout the 1960s -- singing at the prestigious Philharmonic Hall in Lincoln Center in 1962 and writing a program about the history of jazz in 1963, in addition to continuing her recording work. A return to the popular charts was even made in 1969 with her world-weary delivery of Lieber and Stoller's Is That All There Is?, a song that won her a Grammy award that year for Best Contemporary Vocal Performance. Her only venture into musical theater, 1980's autobiographical Peg, fared very badly, but concert appearances remained well-attended for as long as her health permitted her to undertake them. Lee also devoted herself to a number of philanthropic organizations, such as CARE and the Women's International Center.